Have you ever heard of blue sky lightening? Lightening can strike within a 15 to 20 mile radius of a thunderstorm. Many people are struck by blue sky lightening when it isn’t raining. Why am I telling you this? I was bike riding this week when a storm formed near the area I was riding. I got back to the car before the rain started but chose to wait out the thunder and lightening to pass before loading the bike on to the car to leave, I’m not much of a gambler and didn’t want to tempt fate. 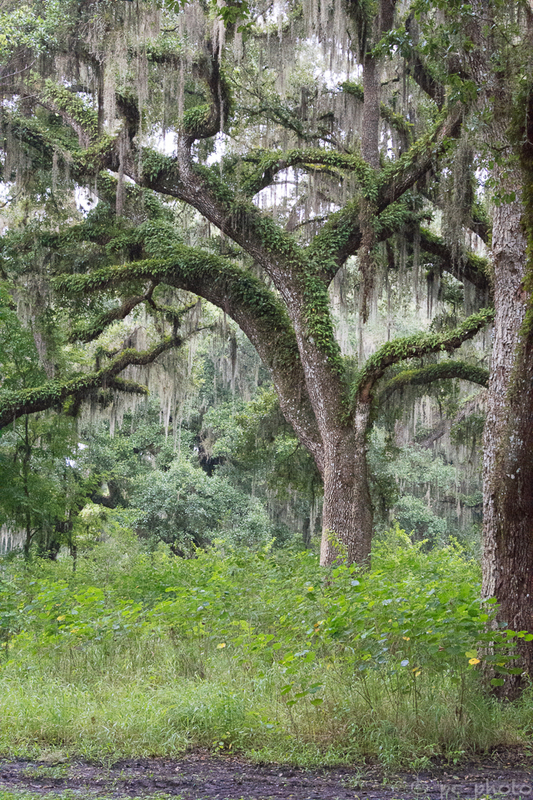 The parking area was in an oak hammock and this is one of the views I had to gaze on while waiting out the storm. Not a bad place to pass time, right?